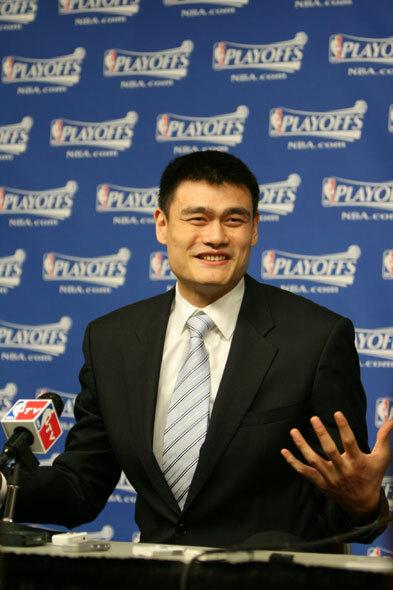 Yao Ming showing up in Toyota Centre for a pre-game press conference and for Game 4. 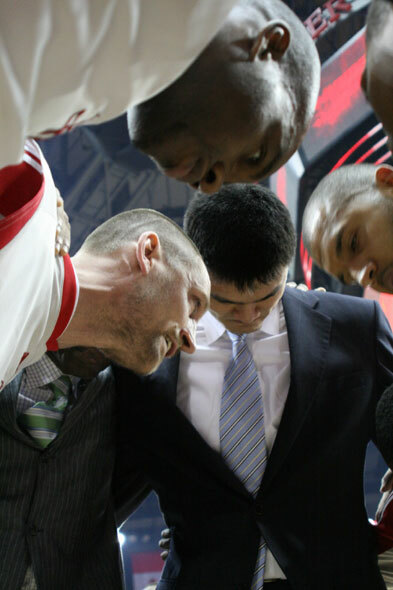 Yao obviously knew something serious happened to his foot during the game, that's why he didn't want to come out when he's limping and wanted to last the moment. 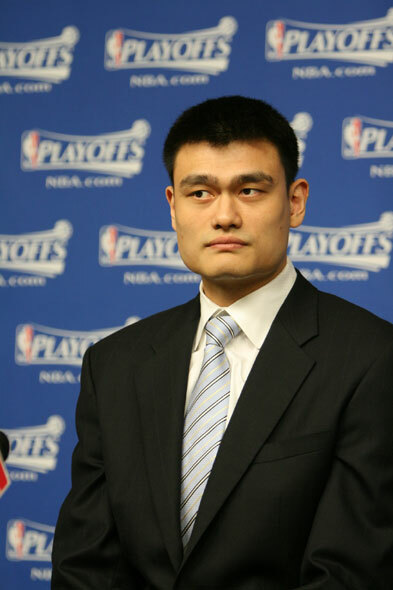 Yeah in the ABC interview of him at the court side, Big Yao said he felt something wrong after 2Q. It just became worse to worst as the game progressed. But he said, as a player, he just did not want to leave his team, as he was hoping he could stay on the court to contribute to the team. 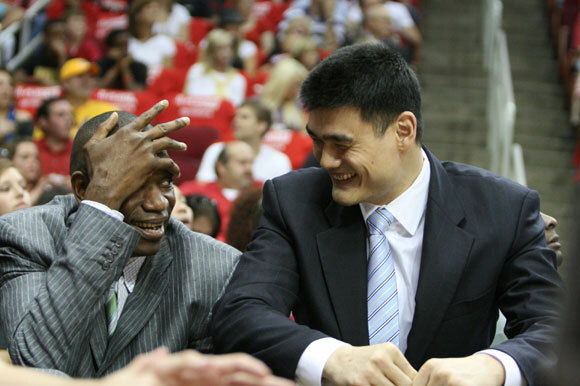 Big Yao and Uncle Mutombo sharing some jokes from the court side. 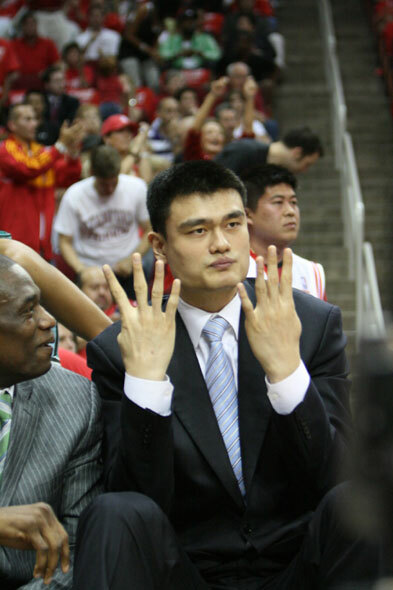 pryuen what postgame comments from Yao following this win? look at these guys... proud poppas! He said he should get injured more often. 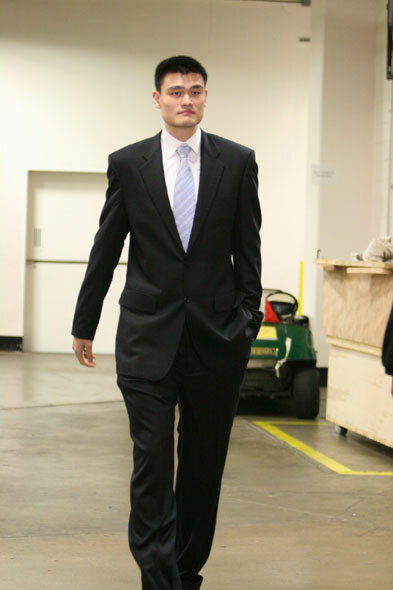 That's the first time I've seen Yao in a suit and tie on the bench; IIRC, he's always dressed very casually (e.g. sport coat, no tie). 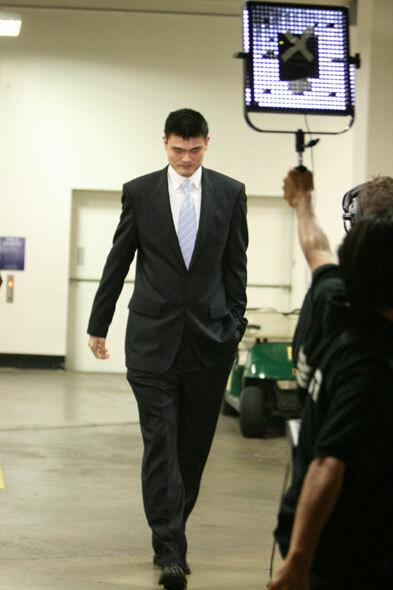 Something I wouldn't mind seeing Yao do over this summer is actually LOSE a few pounds. I'm not saying he should go back to Rookie year Yao, but perhaps find a better balance to remaining strong enough, more mobile, and more durable at the same time. 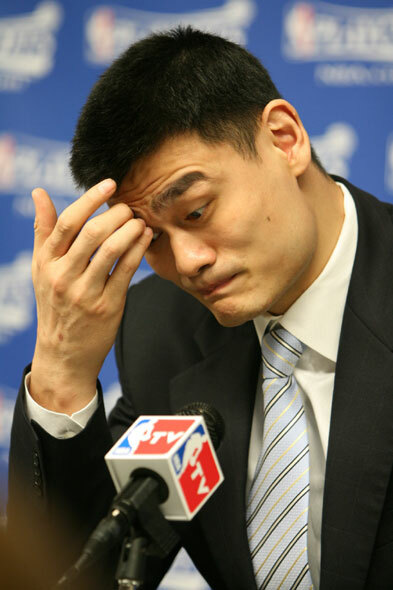 I wouldn't mind seeing Yao lose maybe 10 to 15 pounds or so. I think he would be quicker, which would help him handle the quickness of the game better, and maybe put less pressure on his massive body as well. 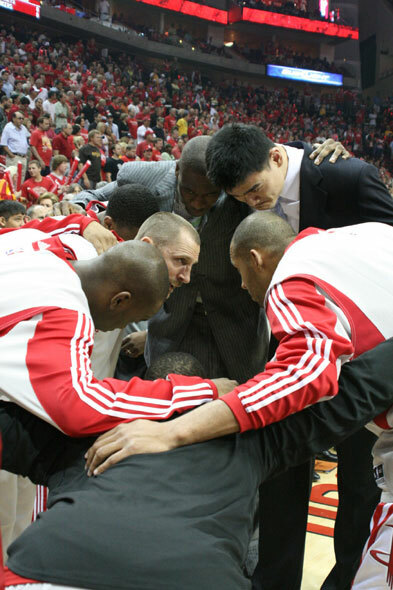 I remember earlier in Yao's career he was very durable for his size. Again, I'm not saying he get super skinny like before, but I think him getting a bit trimmer may actually be beneficial. Whose suit looks better, Yao's, Deke's or TMac's?